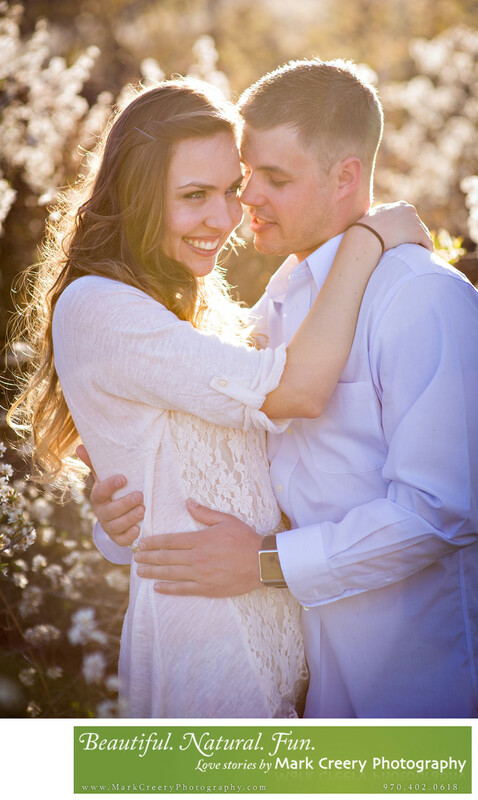 Spring engagement photography by Fort Collins wedding photographer Mark Creery Photography. He specializes in outdoor engagements telling your love story with style. This photo captures the warmth of the Spring sun with fresh flowers budding in the background with the couple having a fun moment between the two of them.